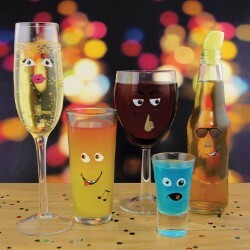 Personalise your drinks and avoid confusion at parties with this fun set of drink markers. A whole host of amusing re-usable stickers to choose from, pick the best (or worst!) to represent your inner party animal, and fully customize your drinks. 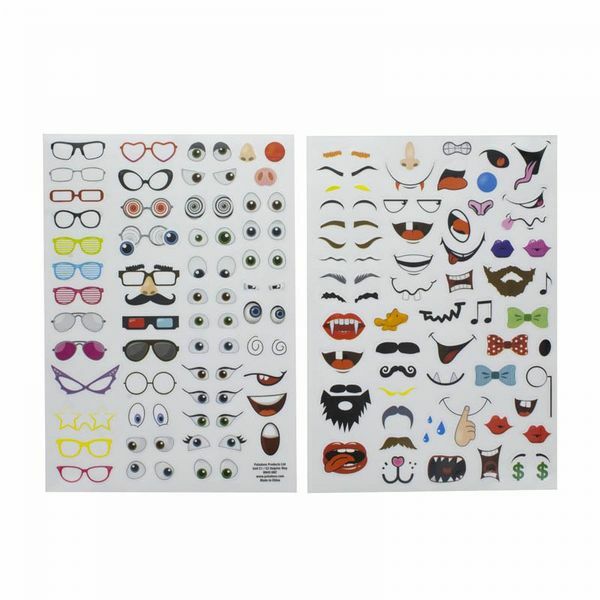 With over 100 stickers included, there's something for everyone in this tongue in cheek gift. Mix and match to create your own character, and ensure you never lose your drink at parties again. The re-usable vinyl stickers attach easily to glass, plastic and metal, making your drinks instantly recognisable. So whether you fancy sunglasses, a bow tie and a smile, or sharp teeth and a glare, dress up your drink and enjoy the party with Party People Drink Markers. The stickers are waterproof and easy to remove after use, so you can use them again and again to add style and personality to your drinks every time. Party People Drink Markers are part of the Party range from Paladone. A gift range offering amusing, unique gift ideas for fun parties and celebrations, the focus is on always creating a great party atmosphere. 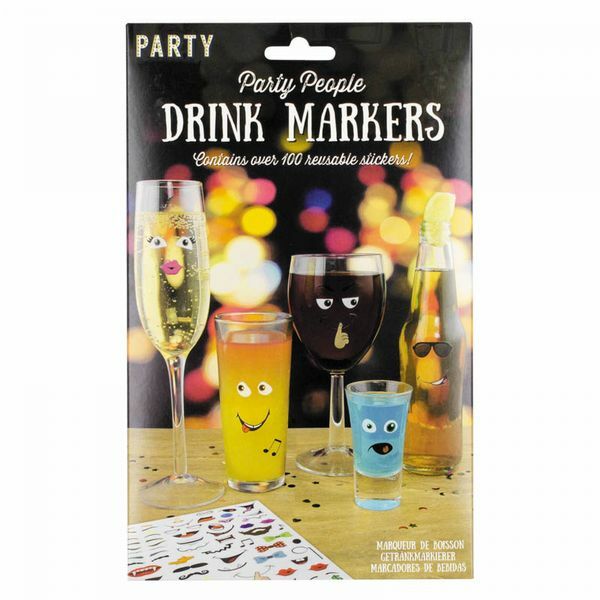 Please note Party People Drink Markers is a product designed as a gift for adults and is not suitable as a toy for young children. Contains small parts. Please enjoy responsibly.